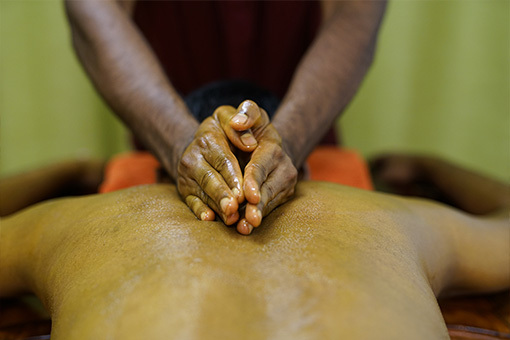 Brisbane's traditional Indian healing centre for relieving your aches, pains and injuries. Kalari Marma Massage is an ancient south Indian warrior massage specially developed to treat and prevent injuries and pain related conditions. 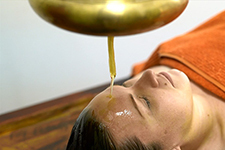 Kalari Ayurveda Centre provide these treatments in Brisbane with experience, expertise and an emphasis on tradition. Kalari Ayurveda Centre is founded by Biju Nair, a traditional Indian healer and martial arts master from Kerala in southern India. He is a pain and injury management specialist using Kalari Chikitsa and Ayurveda. With more than 20 years of experience he has treated thousands of people in Australia and India using these methods. Back, neck, shoulder, knee pain | muscle and joint pain and stiffness | sports injuries | acute and chronic pain | frozen shoulder | arthritis | sciatica | headaches | plantar fasciitis. Treatments are also beneficial for reducing the risk of injuries, enhancing physical performance and maintaining optimal health. Kalaripayattu develops the body and mind through a powerful flowing practice. 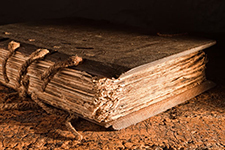 It is a comprehensive system that was originally designed to create an expert warrior. Classes are available at our Brisbane school, Australian School of Kalaripayattu. Kizhi is a technique used in the management of various pain related conditions affecting the musculoskeletal and neuromuscular systems. A Kizhi is a poultice that is densely packed with herbal ingredients. There are many varieties of Kizhi and the name is given based on the ingredients tied within the poultice. 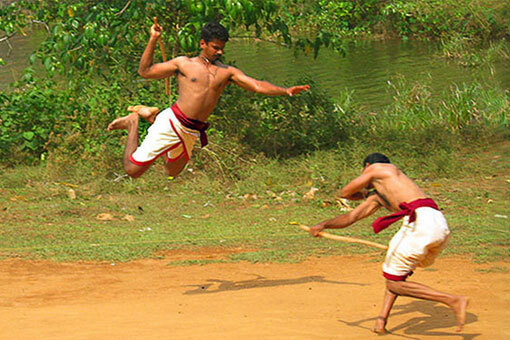 Herbal medicine has always been a part of Kalaripayattu, the traditional martial art of Kerala. 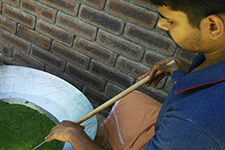 For a Kalaripayattu student, traditional medicine making is an integral element of their physical and mental training. Traditional Indian medicine gives a guide for how pain manifests in your body, and how it can make you more susceptible to injuries. We use a wide variety of herbal oils in our treatments for pain and injury management. The herbal oils used and their applicaton will depend on the location, stage and cause of your condition. 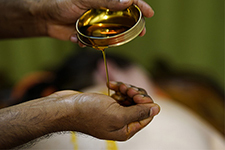 The correct choice of oil is vital in the effectiveness of traditional Ayurvedic treatments.